This project is no longer active, the boat was taken away, and this site is no longer updated, though it will remain online for posterity. 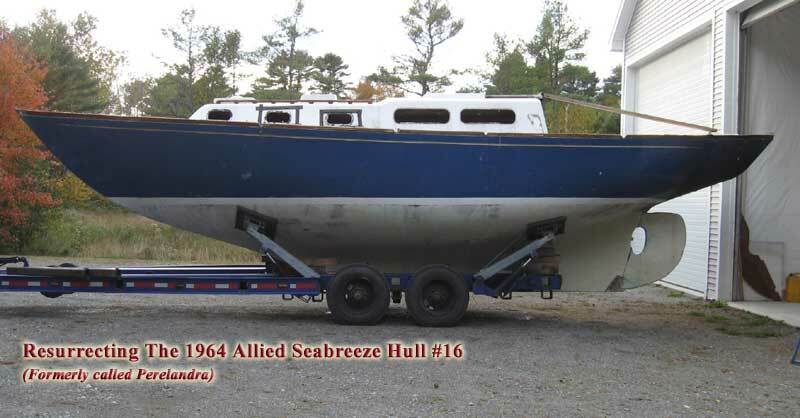 This site is about the 1964 Allied Seabreeze yawl hull #16 pictured above, previously named Perelandra but now awaiting her proper christening under a new name. 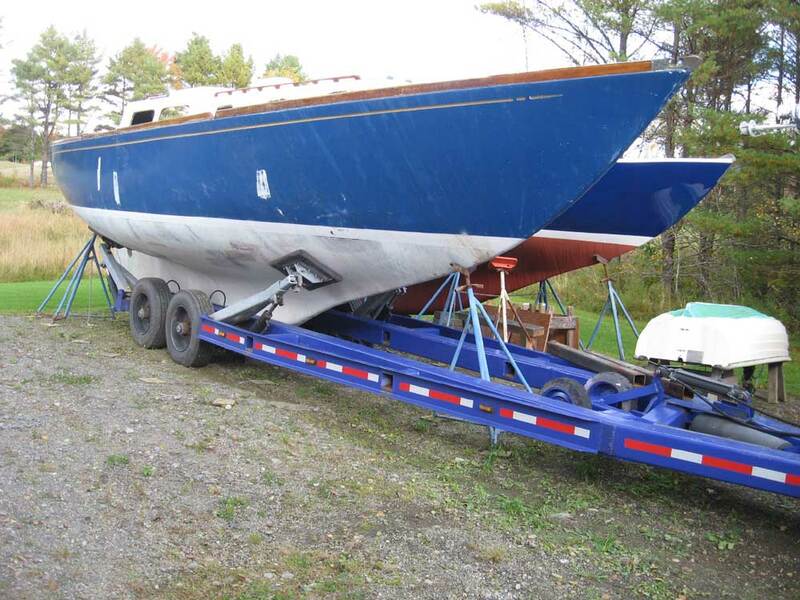 In 2004, I bought the boat for salvage value nearly two years after she was ravaged by a gasoline explosion and fire in the engine room. 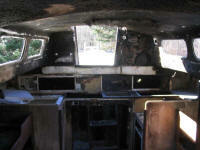 The hull was damaged in the stern quarters, but most of the fire-related damage was from smoke and water. Clearly, there was a lot of work to be done, but I saw challenge and opportunity, not destruction. We bought this boat as a long-term reconstruction project, and never defined the timeframe beyond a loose 5-10 year deadline. However, shortly after making the decision to purchase the boat, my wife and I threw a wrench into the works: we purchased some acreage, and spent the next two years building a new shop and home on the property. This project and move, which hadn't even been under consideration when we decided to purchase the boat, consumed our resources and time from 2005 through late 2009, and the Seabreeze project unfortunately suffered and we continually postponed the job. Although the boat was indoors for more than a year after the new shop was built, the house construction and a growing business prevented me from getting any work done on the boat, complicated further by the financial burden of the new house and shop project. Eventually, I decided that she needed to move outdoors until the time truly came to get to work, and she sat outdoors (covered) for over 2 years, starting in June 2007. In October 2009, I decided that at long last, the time had come to begin the project. 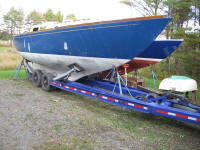 5 years after buying the boat, I moved the boat indoors and made preparations to get underway. With no delusions about the extent or cost of the job ahead, I looked forward to beginning. 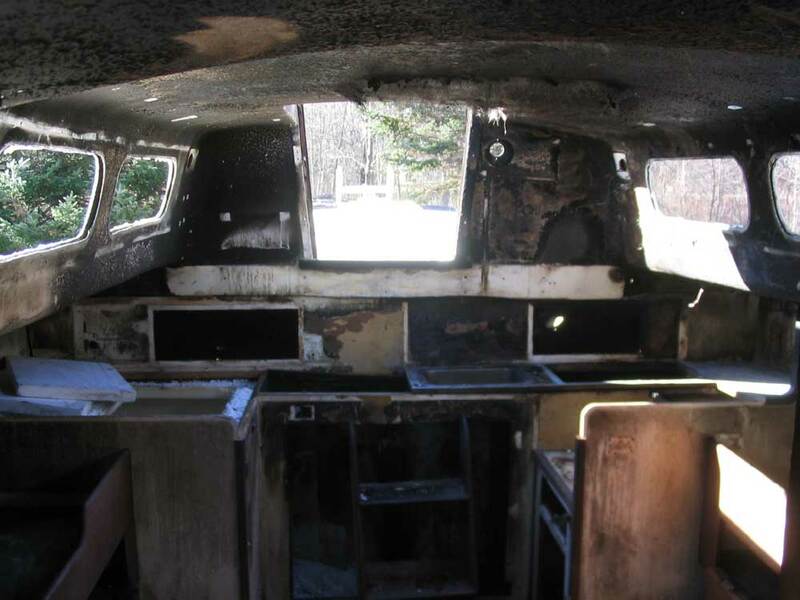 After a strong start to the job, I found myself burned out in early 2010 after spending two months of weekends grinding, grinding, and grinding, and I was discouraged by the frightful damage I continually uncovered as I worked to remove the burned and heat-damaged laminate in the boat's stern quarters. The more material I removed, the more delaminated and resin-starved material I discovered. As a result, after the initial demolition binge, I took a break from the project to recover and contemplate the job ahead. Over time, I found myself reluctant to continue work. Why was this? It really wasn't about the boat's condition, bad as it was--and much worse than I'd anticipated. Despite this, I thought if my heart had been in it I'd still have been able to proceed with success. No, my ennui stemmed from something else: thoughts of a different direction entirely, one more suited to our realistic viewpoint of existing cruising conditions, and, more importantly, towards our future cruising needs and desires. So during summer 2010, we made the decision to move in a different direction, and indefinitely postpone work on Seabreeze #16. Later we gave the boat away, ending this particular saga. Site Design & Content ©2004-2014 by Timothy C. Lackey. All Rights Reserved. This site is now static and no longer updated.